Woooooooo! 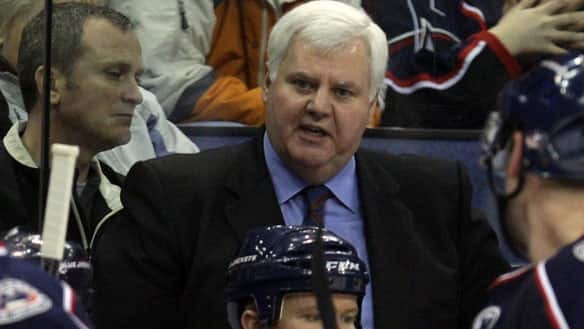 Congrats to all Blue Jacket owners who waited out the horrible run with defensive minded Hitchcock as their coach. Now we can finally see this offense fly the way it should. Ken Hitchcock, while not the official GM of the team, had a gigantic stranglehold over this organization. Scott Howson now has the room to actually become the realy GM of the Jackets. I can’t wait to see what they can do with this roster without Hitch’s grip over it. I look for big seasons from Brassard, Voracek and yes, Nikita Filatov next season. This entry was posted on February 4, 2010 at 1:24 pm and is filed under Uncategorized with tags columbus blue jackets, fired, ken hitchcock, nikita filatov, scott howson. You can follow any responses to this entry through the RSS 2.0 feed. You can leave a response, or trackback from your own site.